But this is a *good* start to the day! 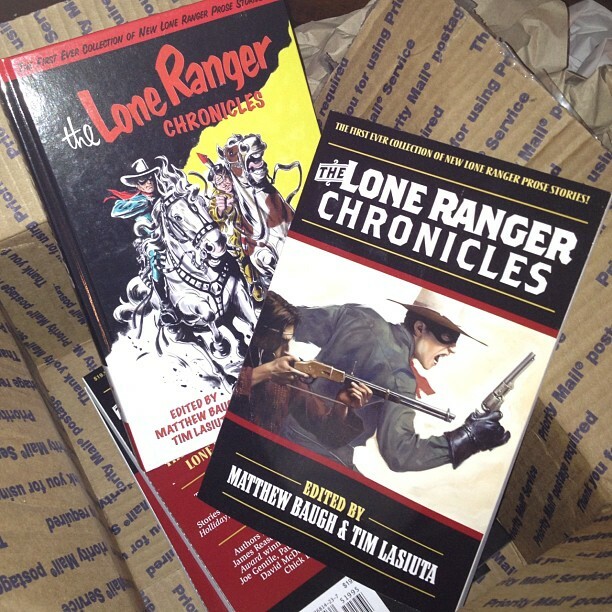 This entry was posted in Writing and tagged contributor copies, Lone Ranger, Moonstone, short stoires on May 22, 2012 by David. Bit of a Lone Ranger Fan I take it? Thanks, Andrew! And one is a hardback, which is a first for me.